Greater Noida (04/02/2019) : Yamuna Expressway Industrial Development Authority (YEIDA) will be taking help of an expert private agency for land acquisition for the upcoming Noida International Greenfield Airport at Jewar. 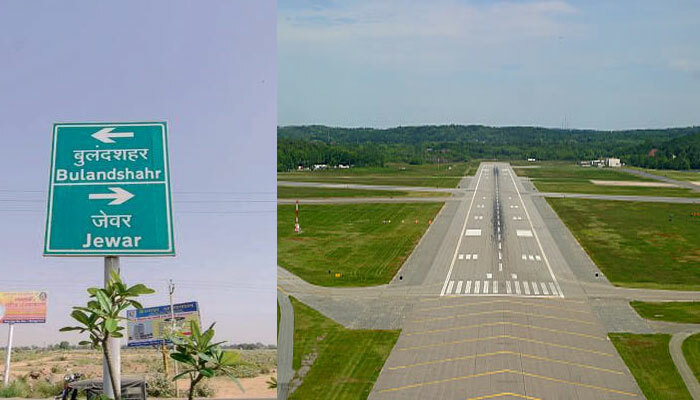 The government of Uttar Pradesh had notified the acquisition of 1,239.14 hectares of land on October 30, 2018 for the development of the airport. After which district administration has started the process of acquiring land under Section 11 (1) of the Right to Fair Compensation and Transparency in Land Acquisition, Rehabilitation and Resettlement Act, 2013. The Noida International Airport Limited (NIAL), formed by the government to develop the airport, will soon invite bids for the construction of Airport. As the acquisition will have to be done on a mass scale which will include lands of many villages and approx three thousand farmers. As the authority don’t have the ample manpower to execute such a large project. So to get rid of any kind of mismanagement and trouble, authority has planned to hire an expert private agency. Arun Vir Singh, Chief Executive Officer, YEIDA, said “We need help from experts because we want to carry out the land acquisition at the earliest. We are likely to issue a request for proposal, which is a process to select an agency for a government job. We will hire an agency following laid down procedures”. The estimated budget for the Jewar airport project is 15,000-20,000 crore. The airport is expected to be operational by 2022-23, as per the estimated deadline. On the whole, it also requires 5,000 hectares of land.